RewardExpert analyzed 3.5 million hotel reviews from 70+ countries to determine from where the world’s grumpiest and happiest travelers hail. We’ve all been there. Through our experiences and through various stories we’ve heard, we develop—correctly or not—a sense of which countries are home to the most foul and fair tempered tourists. But before we set off, what do we have to go on but hearsay and opinion? RewardExpert set out to answer both questions: which countries do the world’s grumpiest travelers call home, and which countries are home to the happiest? And we did so on the soundest and surest footing as possible: numbers. Spain may have a reputation for being a relaxed country and culture, given all the siestas they have to nap away their worries, this apparently stops at the country’s border. Spaniards abroad are impressively ornery: not only are they but most likely to leave one- and two-star reviews (11.73 percent), they are sixth most likely to leave an unimpressed three-star review (18.68 percent) and the fifth least likely to leave a five-star review. It would seem that the luck of the Irish does not extend to international travel accommodations. Tourists hailing from the Emerald Isle are the most likely to leave one and two-star reviews of hotels abroad, taking second place on our grumpiest tourists list with 11.97 percent of 53,429 reviews being one or two stars. Irish tourists compensate for this, somewhat, by being relatively free with five-star reviews, which made up 41.27 percent. Four-star (and three-star, for that matter) ratings among Irish tourists, however, were relatively rare (ranked 73rd). The net result is that, while Irish tourists are remarkably cranky, Spanish tourists were able to edge them out. One would have to live under a rock (outside of Iceland) to not know that Iceland has been a hot tourist destination in recent years. But the disposition of Icelandic tourists is less well known. And it’s about as sunny as Iceland is: tourists from Iceland write grumpy reviews at a rate higher than tourists from all but six other countries, which make up 11.13 percent of all reviews from natives of the island country. Like Spain, Italian tourism leans heavily on a reputation for a slower, more relaxed pace of life. Tourists from Italy are another story entirely. Our analysis found that 11.17 percent of reviews written by Italian travelers rated their lodgings one or two stars, and Italians are also the fourth least likely to leave five-star reviews, which make up 29.18 percent of 215,438 reviews in our data set. Italians also ranked highly on three- and four-star reviews (11th and 8th places), suggesting a high degree of stinginess—or high standards—when it comes to handing out high reviews. While natives of Eastern European nations generally ranked low in grumpiness and high in their willingness to give a glowing review, Bulgarians were a notable exception. A total of 252 out of 2,360 reviews left by Bulgarians traveling abroad were accompanied by a one or two-star rating. To their credit, Bulgarians were also the tenth most likely to leave five-star reviews, but this was insufficient to keep Bulgaria out of the ten countries with the most grumpy international tourists. There weren’t very many reviews in our data set from tourists from Zimbabwe. In fact, had there been sixty fewer reviews by Zimbabweans, the country would have been excluded from our analysis. That being said, Zimbabwean tourists are an impressively grumpy bunch. Nevertheless, out of a total of 1,059 reviews, 125 were accompanied by a rating of one or two stars. It would seem that Danes don’t have to be a philosophers to experience significantly elevated levels of angst. Out of 16,512 hotel reviews authored by Danish tourists, a full 1,800 rated their hotel as one or two stars. Danes were second most likely to leave a middling three stars, while five-star reviews were rarer than a sunny day in Copenhagen. In many ways, Turkey is unique for its position straddling the Bosphorus straits, which divides Europe from Asia. And it appears that Turkish tourists have two continents worth of grumpiness. Citizens of Turkey traveling abroad were seventh most likely to leave negative reviews of their accommodations, with 11.03% of 9,618 reviews accompanied by ratings of one or two stars. Our data shows that visitors to Turkey were almost as grumpy, as well! Who would have thought that Iranian tourists would be among the ten grumpiest in the world? This may or may not come as a surprise, but Iranian tourists do appear to be rather ornery, as demonstrated by our analysis. Out of a total of 1,326 reviews, 125 were accompanied by a one- or two-star rating, or 11.39 percent grumpy. Iranian tourists were also tenth least likely to leave five-star reviews of their lodgings. Another Eastern European exception is the little nation of Lithuania. Out of 1,320 reviews, 139, or 10.53 percent, bore a rating of one or two stars. We can only speculate as to the reasons behind this, but the phenomenon extends to a general reluctance to give out four-star reviews, even as five-star reviews occurred with middling frequency. Russia takes first place for being home to the world’s happiest tourists. Five-star reviews made up an impressively high 46.16 percent of 70,775 reviews, but this alone would only have had Russia ranked sixth place. Even including the 36.61 percent of reviews with four-star ratings, for a total 82.77 percent positive reviews, it wasn’t quite enough for Russia to rank number one. What puts Russia over the top is the fact that it ranked dead last for grumpy, one and two-star reviews, with a shockingly low 4.99 percent of reviews that rated their stay one or two stars. Serbia and Russia could not have more in common: both were once dominant nations in a former multi-ethnic Communist state, the U.S.S.R. and Yugoslavia, and their languages are related. Now, we can add another similarity: Serbians are the second happiest international tourists in the world, and their rank is due much more to the low incidence of one- and two-star reviews: a trifling 7.10 percent of Serbians’ reviews. Lebanon ranks third, overall, for being home to happy international tourists. The percentage of reviews in the “happy” subset of Lebanese tourists is 45.69 percent, while only 7.8 percent of reviews belonged to the “grumpy” subset. Lebanon is noted for having the highest GDP and Human Development Index in the Arab world, and is a hotspot for both diversity and culture, resulting in many affluent and discerning tourists. And while money can’t buy happiness, it can improve your odds of being happy with your accommodations. Australia may be known as the land down under, but Australians abroad are anything but downspirited. Australians who wrote five-star reviews made up 46.64 percent of 164,137 reviews, while another 35.08 percent were happy enough for four stars. Combining these, we can say that four out of every five Australian tourists are happy, while less than one in ten are either ill-tempered grumps or just having some bad luck, a bad day, or a legitimately bad stay. It is with a small amount of historical irony that Belarus appears on our list as the home of the world’s fifth-happiest tourists. From the 12th century until the end of the 18th, Belarus was part of Lithuania, home of the tenth grumpiest tourists. Happiness-indicating five-star reviews authored by Belarusian tourists are nearly five times as prevalent as reviews by disgruntled Lithuanians, making up 48.97 percent of the 1,307 reviews in our data set for Belarus, 8.14 percent higher than the prevalence of five-star reviews by Lithuanians. Taking sixth place in the world for the happiest travelers and tourists abroad is Israel. Five-star reviews flow as freely as milk and honey when Israelis leave their promised land. Israel would have taken first place with 51.24 percent of all reviews being “happy,” five-star reviews (as compared to an average 38.55 percent), but Israelis were rather stingy with four-star reviews, which made up 31.41 percent, as compared to the overall average of 36.81 percent. The world’s seventh-happiest international tourists are from Georgia. Not the southern U.S. state, of course, but the birthplace of noted grump, Joseph Stalin. Out of a total of 8,806 reviews, slightly less than half of them (4,348) were five-star reviews, or 49.38 percent. Like Israelis, Georgians ranked slightly higher for one- and two-star reviews (75th) than three or four stars (78th). Geographically speaking, nothing but the Jordan River and the Dead Sea separates our sixth- and eighth-place countries for tourist happiness. The proportion of the 1,463 reviews in our data set authored by Jordanians traveling abroad that contained a five-star rating was 48.87 percent . We can justifiably suggest a possible reason for the rather sanguine disposition of Jordanians traveling abroad: Jordanians are keen on stepping out of their borders. A great many Jordanians have lived and/or worked abroad, and a significant percentage of its population currently does. Given Americans’ reputations for being both vocal and cheery while abroad, it would have been highly surprising if the United States did not rank among the countries home to seemingly happy tourists. Out of the 459,188 reviews in our data set, Americans gave out 218,839 five-star ratings, amounting to 48.67 percent of all reviews. This figure is comparable to what we saw in our previous report and may reflect American cultural norms. The South American country of Colombia comes in at number ten in our ranking, with 46.16 percent of reviews rated their hotel experience five stars. According to this figure alone, Colombia would tie for first-place with Russia, however, Colombia’s ranking for overall happiness is decreased by a higher prevalence of one- and two-star reviews. Nevertheless, folding in the 33.51 percent of reviews with four-star ratings, four in five Colombian tourists were happy with their experience. There are a lot of travel credit cards on the market, but the best ones offer cardholders some excellent perks, discounts and even free airfare and hotel stays. Let’s take a look at some of RewardExpert’s top picks. If you’ve never had a travel card before, or if you just like to keep things simple, you should consider getting a one that works like a cashback card. You’ll earn miles with these cards, but you can redeem those miles for statement credits toward any travel purchase. The Discover it Miles card, for instance, earns 1.5 miles for every dollar spent. Each mile can then be redeemed toward one cent in travel. The best part is that you can use those miles to pay for travel that you’ve purchased from any travel provider, including airlines, hotels, car rental companies and more. There aren’t any special travel partners to worry about. Just buy what you want and redeem your miles. If you want to dig a little deeper into the points and miles game, consider the Starwood Preferred Guest American Express card. This card is great because the points you earn can be transferred to a huge number of airlines or used for stays at Starwood and Marriott properties. Transferring points to airline frequent flyer programs can lead to some great redemption values where your points are worth well over one cent each. You’ll even get a 5,000-point bonus for every 20,000 points you transfer to an airline with the SPG Amex. The SPG program is truly unrivaled in its flexibility. If like to travel in luxury, getting a premium credit card is the way to go. While these cards often come with hefty price tags, they also offer tremendous perks that will make any travel experience more enjoyable. The American Express Platinum card is the original luxury card, and it’s still one of the best. With the Amex Platinum, you’ll get complimentary access to Amex’s swanky Centurion Lounges, plus a Priority Pass Select membership that will give you access to over 1,000 lounges in airports around the world. And if you happen to be flying on Delta, you’ll get into SkyClub lounges for free, too. On top of that, you’ll get an annual $200 airline fee credit to cover bag fees, change fees and in-flight purchases; $200 in Uber credits every year, which can certainly help you get to your hotel from the airport; and a $100 credit to pay for Global entry or PreCheck. There are even more perks, like concierge service, complimentary benefits at select hotels and more. 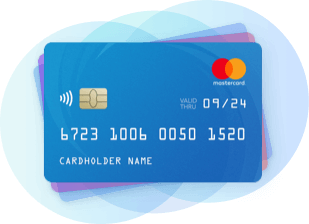 While the annual fee is high, you can actually make money with this card if you take advantage of all the perks. Whichever travel credit card you decide to get, make sure it’ll help you save money and travel better. If it doesn’t, there’s no point in getting it, no matter how appealing the welcome offer is. There’s nothing wrong with keeping things simple or coming with up a complex strategy for maximizing your points. Just be sure you get out there and take advantage of everything your new card has to offer. RewardExpert analyzed a data set containing 3,488,473 international hotel reviews that contained data indicating both the country of origin for the reviewer and the country in which the hotel is located. We divided this data set into subsets corresponding to the number of stars, on a scale of one to five, the reviewer rated the hotel. The 955,754 reviews with ratings of one or two stars were considered to be our “grumpy” set. The 1,384,241 reviews with five-star ratings constituted our “happy” set. We next counted the total number of reviews left by tourists originating from each country and calculated the percentage of “grumpy” or “happy” reviews for each country. Countries were ranked on the basis of the average of the rank assigned for “grumpy” or “happy” reviews by tourists originating from each country of origin.